Bloom Time and Color: Yellow flowers in mid summer or early fall. Description: This plant is also known as Moneywort. It displays trailing discs of greenish gold that turn bright yellow in sun. 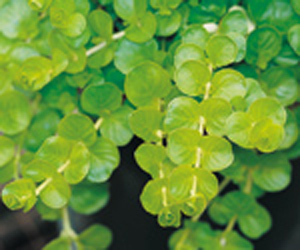 An attention getting groundcover that is also a superb addition to patio pots and hanging baskets. This plant is attractive to bees, butterflies and birds. It is a fast grower and very easy to grow. Care: This plant is versatile, tough, and extra cold-resistant. Doesn't need much care.